We are the security professionals! We offer security solutions for your business, government building, or your home and are certified by the product manufactures and experienced in installing, repairing, testing and maintaining the most sophisticated security technology on the retail market. We are proud to offer competitive pricing, and we do have a GSA pricing schedule available. Whether you need security for your Business, Government or your Home, we offer the same great service, starting with free quotes and estimates. 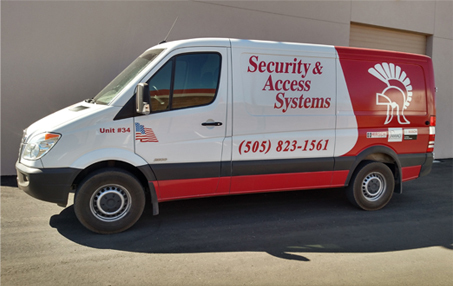 For over 30 years, Security and Access Systems has worked to build long-term relationships with our customers by providing exceptional service and quality brand products and keeping property safe in Albuquerque, Santa Fe, and central and northern New Mexico. Security & Access Systems provides electronic detection system, access control and video systems that are designed to consistently meet our customers’ expectations. If you are interested in what we can offer you, please feel free to contact us directly. A member of our experienced team will be delighted to take your call. We look forward to hearing from you.